1. Check Out The Ships Gift Shops. 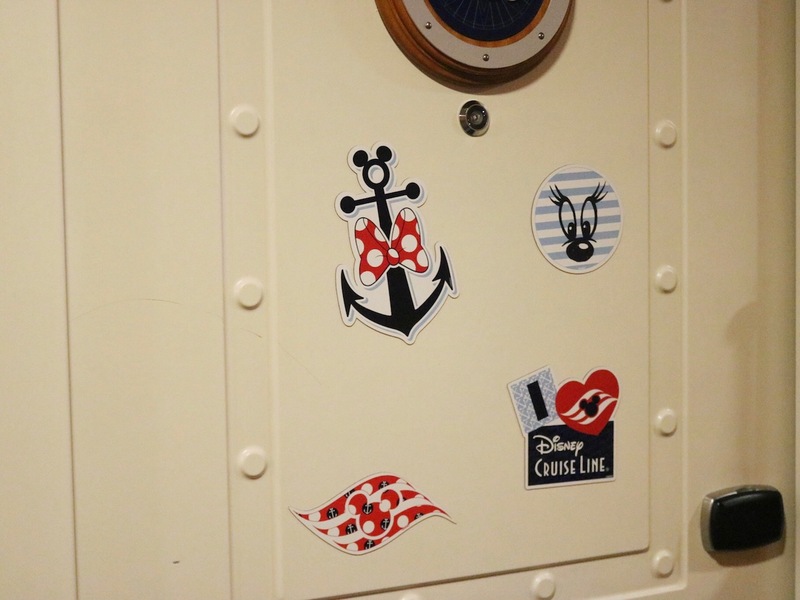 They sell several different door magnet bundles (i.e Mickey themed, princess themed, etc) in the gift shops on the cruise. They usually come with five magnets in a pack and they’re super reasonably priced! (If you’re wondering what that thing hanging from the door is, it’s a Fish Extender. You can learn all about Fish Extenders HERE!). As you can see, I went with the Minnie themed pack. (Bonus: These are great to stick on your refrigerator when you get back home!). 2. Let Etsy Be Your Best Friend! Who doesn’t love Etsy? 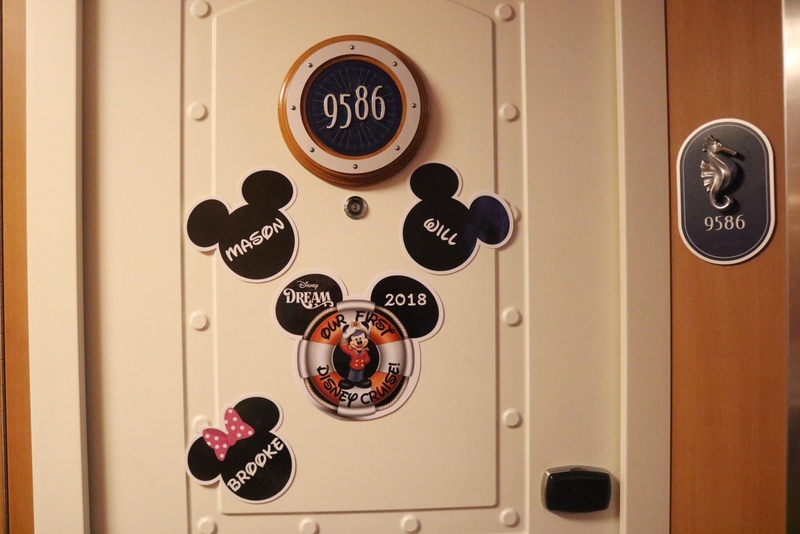 You can type in “Disney Cruise Door Magnets” on Etsy and find hundreds of cool magnets. And most of them are completely customizable. How cool is this family’s Star Wars themed door? Speaking of Star Wars, how awesome was that Solo: A Star Wars Story trailer? 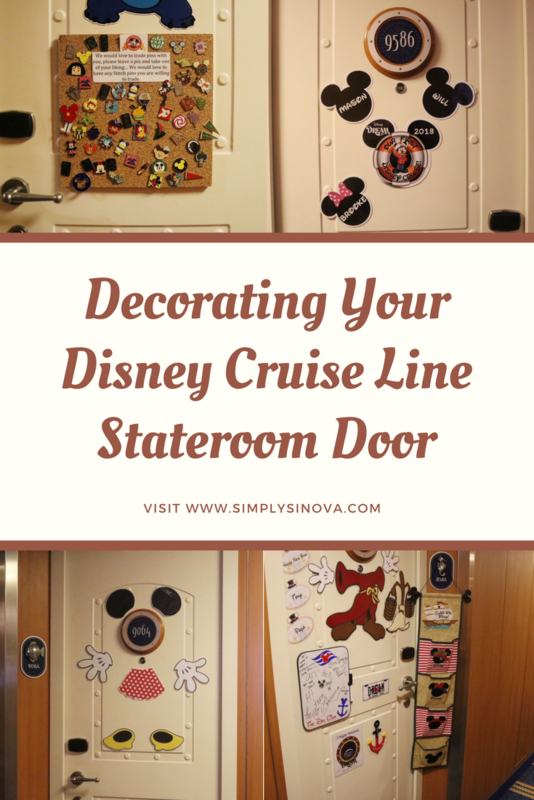 Decorating your stateroom door doesn’t have to cost an arm and a leg. You can always skip Etsy or the cruise gift shop and get crafty instead. 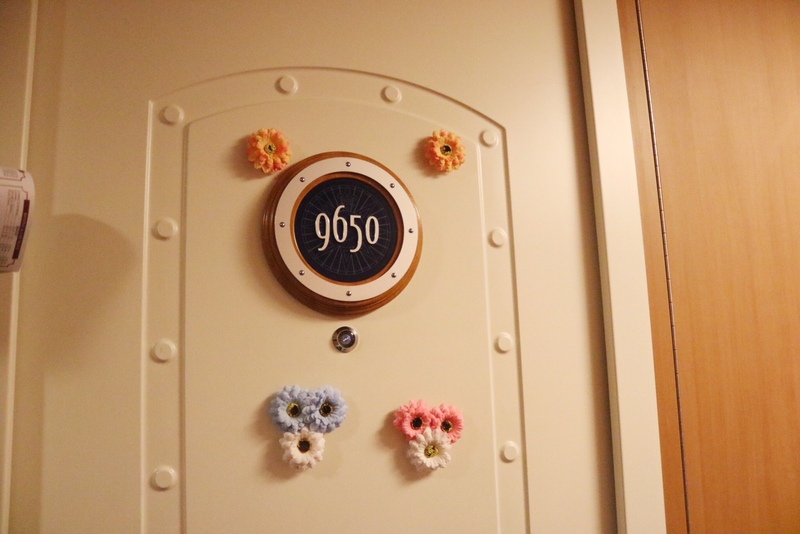 Lots of people opt to make their own stateroom door decorations. All you need to do is print out some of your favorite Disney photos (or Mickey heads), laminate them and hot glue some magnets on the back. Boom! Instant magnets. 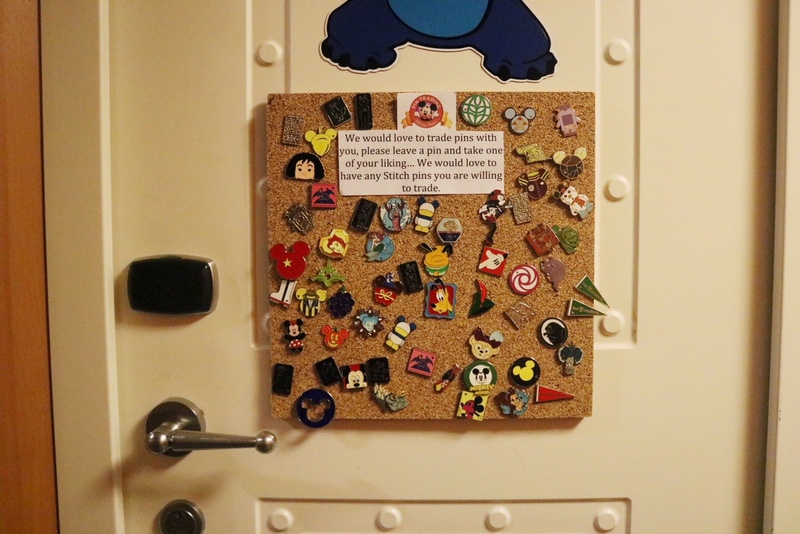 In my opinion, there’s no such thing as “too much Disney.” You want to add a dry erase board to your door? Got for it! 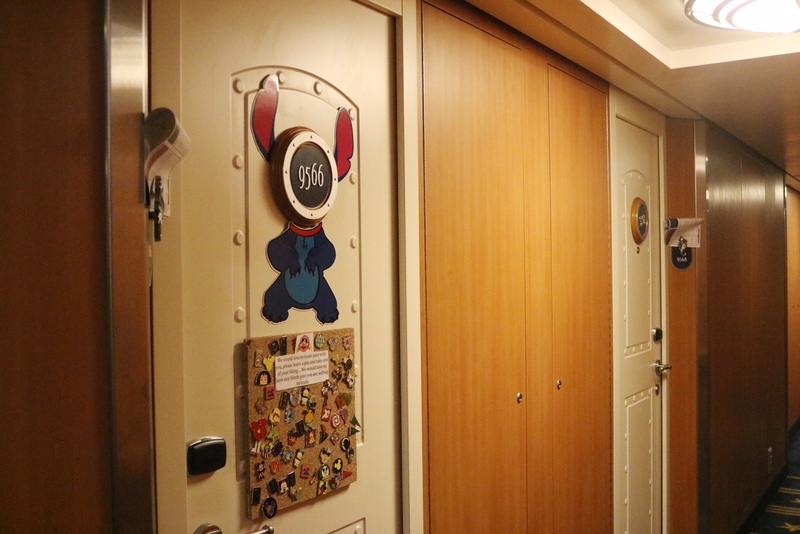 You want to cover 90% of your stateroom door in magnets? Go for it! 5. Sometimes Less is More. 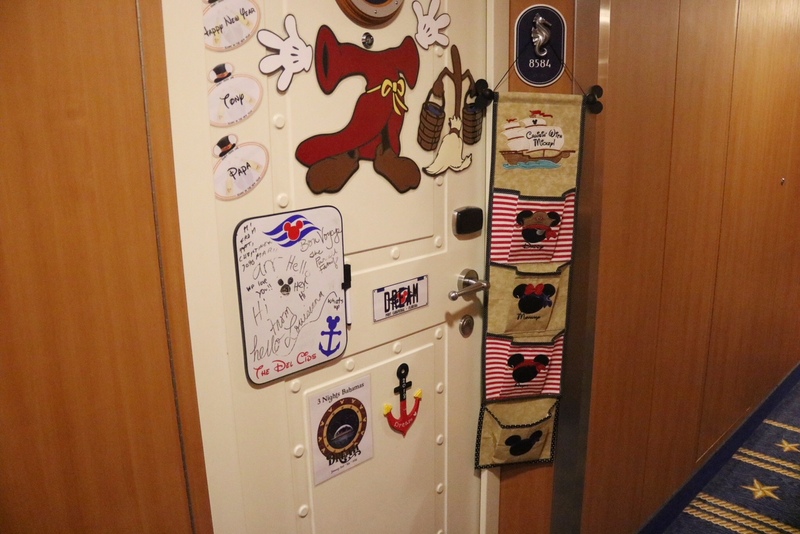 When it comes to decorating your Disney Cruise Line stateroom door, there’s no need to keep up with the Joneses. You can decorate your stateroom door as much or as little as you want. 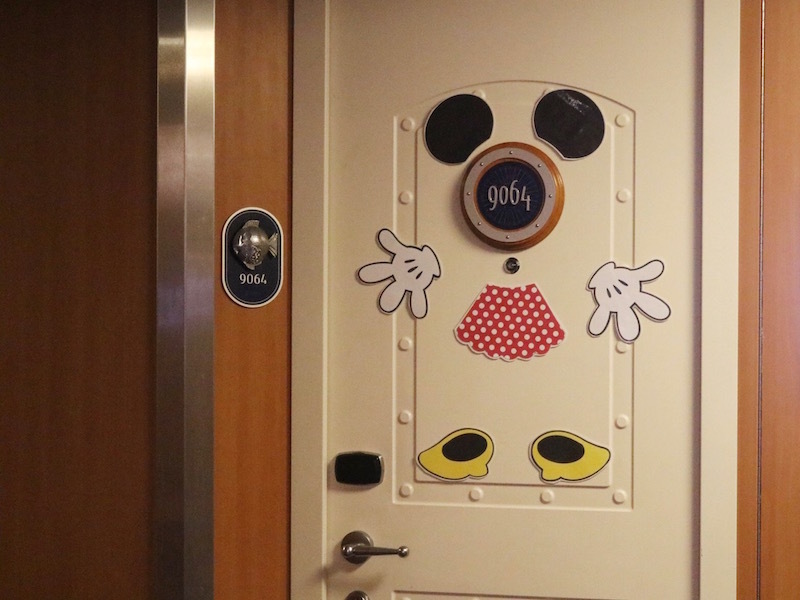 Who said magnets were the only way to make your stateroom door pop? 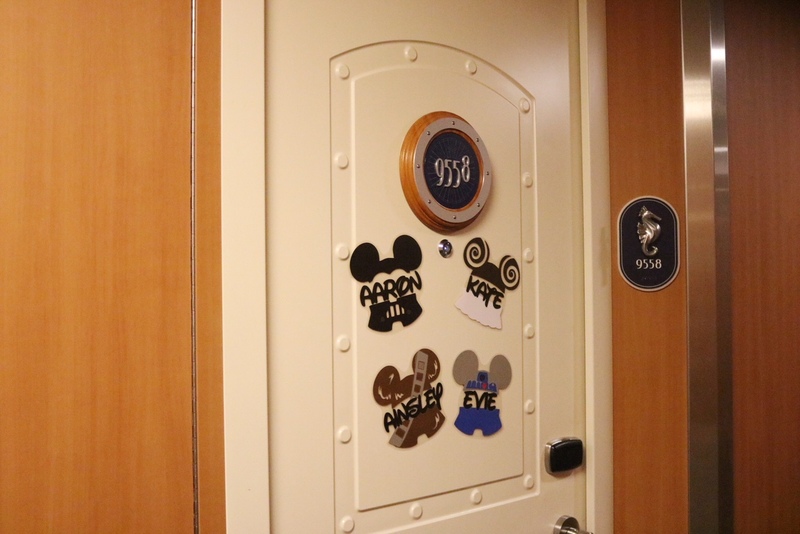 One of my favorite staterooms to visit while on my cruise was the “pin trading door.” (And it just so happened to be right by my stateroom!). One the door was a homemade pin board where people passing by could come and trade pins. They loved Stitch so I traded a super cute Stitch pin (that I had doubles of) for an adorable Minnie Mouse pin. 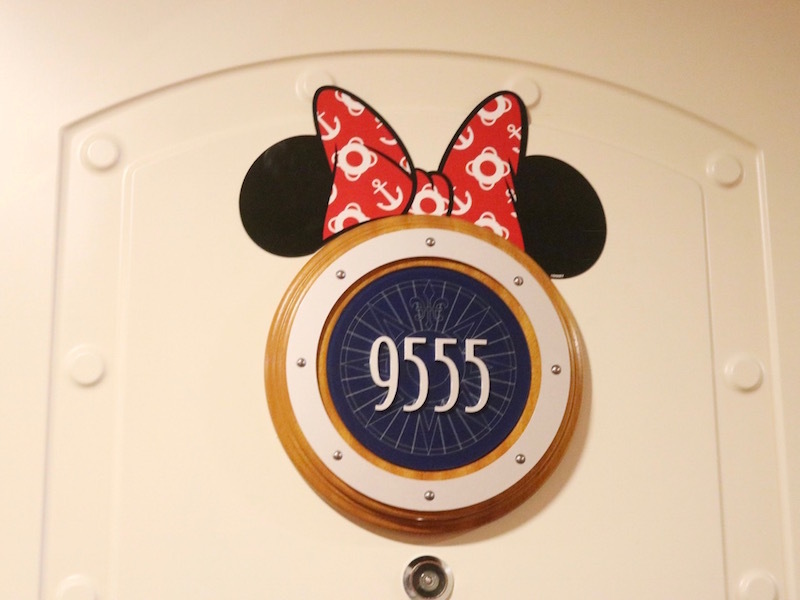 I might have to steal this idea for my next Disney Cruise in August. 7. Don’t Limit Yourself To Disney Decor. 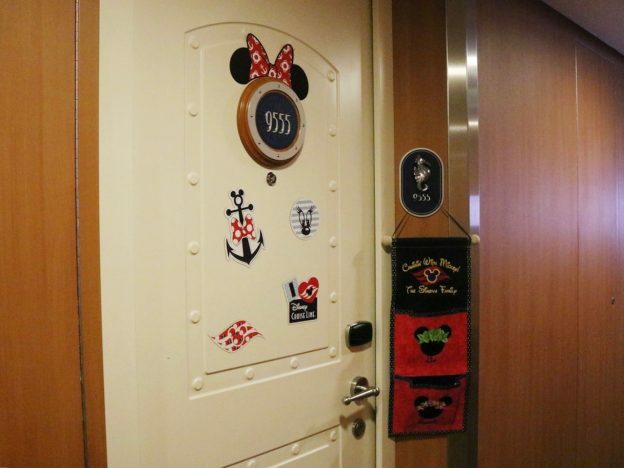 Just because it’s a Disney Cruise doesn’t mean you HAVE to Disney-fy your stateroom door. I love how simple yet adorable this door is decorated. (They get bonus points for arranging the three flowers to form a Mickey icon! ).